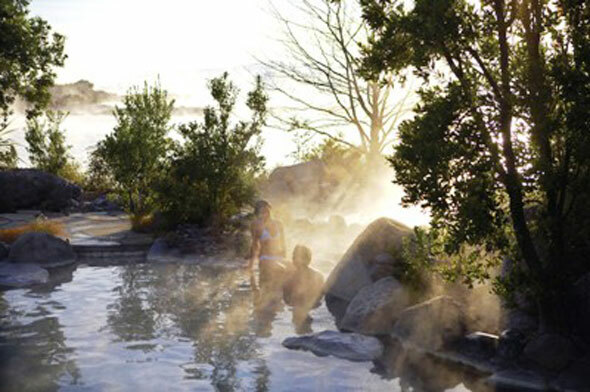 Getting into hot water comes naturally around Rotorua where an active thermal landscape is the source of bubbling mineral waters and therapeutic mud baths – so it’s no wonder that the tourist town is also New Zealand’s top spa destination. Long-recognised for healing qualities, the geothermal water and mineral-enriched mud found in the Rotorua region provides the basis for a diverse and growing range of spa opportunities – from a simple soak your cares away in bush-lined thermal stream through to treatments in luxuriously-appointed spa complexes. Māori massage and indigenous herbs add various ingredients to the local spa culture such as miri miri massage which begins and ends with a Māori karakia / prayer, or herbal saunas infused with kawakawa leaves gathered in the local native bush. Other distinctive treatments include volcanic stone therapies, and exfoliating mud wraps, baths and masks. 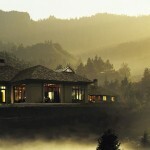 Rotorua’s spa offerings regularly win international acclaim, and 2012 produced several accolades at the World Luxury Spa Awards with Wai Ora Day Spa named – for the second year running – as New Zealand winner in three categories: best luxury spa destination, best luxury spa group, and best luxury mineral springs spa. Wai ora means ‘healing waters’, and Wai Ora Day Spa owner Bryan Hughes says the surrounding geothermal resources and mud have been in use for more than 700 years. 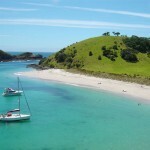 The spa has developed a ‘New Zealand Cultural Spa Regime’ of experiences based on the healing traditions and techniques of Māori. The ‘Historic Spa’ experience is based on the sulphurous waters and geothermal mud found at Hell’s Gate, where New Zealand’s spa culture began, while the ‘Nature Spa’ experience takes place on Mokoia Island in clear natural soda mineral hot springs. The ‘Contemporary Spa’ experience at Wai Ora Day Spa brings together a range of indulgent spa therapies and treatments. Rotorua’s iconic Polynesian Spa has also achieved high praise. It has been named among the world’s top 10 thermal, medical and natural spas six times in the past decade by Condé Nast Traveller magazine’s European readers, becoming the only spa outside of Europe to achieve such accolades. The Polynesian Spa – which celebrated its 40th anniversary in April 2012 – has transformed a series of traditional mineral baths into an internationally-renowned spa complex complete with five treatment rooms and an impressive series of indoor and lakeside bathing pools catering for families, adults and private groups. The Lake Spa Retreat offers a range of facials, beauty treatments and massage including Aix spa massage under jets of warm water. Heated mineral bathing is also an integral part of the therapies at Polynesian Spa where guests can enjoy the hot mineral waters while watching clouds of steam over the lake. Two types of mineral waters feed into the Polynesian Spa’s 26 pools, each with their own therapeutic properties. The Priest Spring with its acidic mineral water offers relief for tired muscles, aches and pains, while the alkaline waters of the Rachael Spring caress the skin with the silky antiseptic action of sodium silicate. Rotorua’s spa experiences are constantly developing and the latest addition is discreetly tucked away in the forest at one of the city’s most luxurious lodges. Guests and visitors to Treetops Lodge & Estate can now unwind and relax in a peaceful native forest setting with luxurious pampering treatments for body, facial, hand and feet. More than anything it’s the abundant and easily accessible natural geothermal pools and streams that set this spa destination apart from others around the world. Popular spots include thermal streams like Kerosene Creek where a hot spring flows downhill through natural bush. Over time, bathers have excavated small smooth rocks to form miniature hot pools. A boat ride to Lake Tarawera’s Hot Water Beach sets the scene for a wilderness experience – soaking in self-made pools surrounded by large rocks and fed with the heated waters of a spring on the lake’s western corner. Another popular alternative is Manupirua Springs Hot Pools at Lake Rotoiti. This spot is accessible by boat or kayak, and is the perfect place to warm up on a crisp winter’s day or to enjoy a romantic evening under the stars.